While the school brands the system as a customizable college experience, the general education experience between colleges differs more by time than by educational value. Each campus covers some form of humanities, qualitative skills, and natural and social sciences, so it is not as though any college offers a truly unique education. But a student on one campus may meet these requirements more quickly than a student on another. For example, a humanities major in Eleanor Roosevelt College might take 17 courses to cover their many general education requirements whereas a science, technology, engineering, and math major in Revelle might take 8 since their major requirements overlap with general education requirements. Prospective students choose their preferred campus based off vague mission statements from each college, not knowing how their choice of campus will affect their course load. The colleges’ websites explicitly state the number of courses for each requirement, but they do not discuss how far an egregious general education workload can set back a student. A prospective student would have to prepare a four-year plan without knowing the college they will ultimately fall in to make an informed decision. This is especially tedious for undeclared students or students who later change their major. With intercollege transfers being so rare, the six-college system traps uninformed students on a campus that might make their time to degree longer than it needs to be. The six-college system also weighs down on student leadership. The image of the college councils working to address systemic issues under the umbrella of the Associated Students Council vaguely resembles the state and federal divisions. But the personal struggles do not differ between ERC students and Thurgood Marshall College students like they do between California and Alabama residents, for instance. Rather than dividing responsibilities between localized and centralized powers as the government does, the six-college system tasks college councils with combating the same systemic issues tackled by the central A.S. Council but within discrete units of 5000 students. But councils cannot divide and conquer chronic issues. Most struggles facing students do not begin and end on this campus, so placing the same responsibilities on members of different councils just leads to bloating. There is no reason for ERC and Marshall student councils, for example, to each have transfer representatives; the transfer experience does not differ between a Marshall student and an ERC student by virtue of living 30 feet apart. Though the six-college system mimics community-based governance, in effect, it only segregates students facing the same trials. The specious argument follows that smaller campuses create more tight-knit communities. But the idea that evenly dispersing students within one of six arbitrarily defined categories will foster community holds no merit. 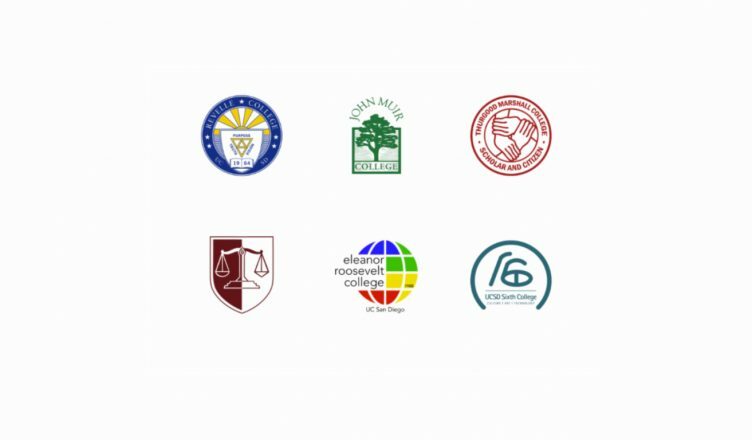 If the intent was to match like-minded students to the same college from the start, then UCSD would not assign students equally to all six colleges. Rather, students would be able to enter any college regardless of how large an individual college becomes. UCSD’s reputation as “UC Socially Dead” proves that chopping up the university into disconnected units inhibits the growths of a collective student community. The fact of the matter is that the six-college system is one example of many institutionalized tactics for restricting the growth of campus communities. College campuses are notorious for youth activism and extremely vocal populations — both of which bode poorly for the campus’ reputation on the national and global stages. Preventing student collectivism is the reason there are no open quads on campus that can accommodate large student gatherings. It is the reason that the police maintain a constant presence on campus. It is the reason that UCSD would rather create a seventh college as enrollment rises instead of growing the existing colleges. UCSD did not simply stumble upon a new, vague collection of words that were missing from the other colleges’ mottos; they needed to expand the system in order to maintain these discrete niches across campus. Despite how forgettable it is in the day-to-day lives of students, the six-college system is one of the most deeply entrenched flaws of this university. It complicates, bloats, and undermines so many facets of the college experience but hides behind esteemed figures and polished slogans. More centralized models exist on campuses across the globe, so replacing this failed project is not a novel ambition, but a necessary one. UCSD students consistently bemoan the disintegrated, unenthused campus climate but any efforts to reinvent this “socially dead” campus will falter while the six-college system continues to exist.